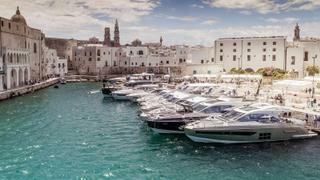 The eleventh Azimut Yachting Gala took place from June 22-24, 2018 in the beautiful Italian region of Puglia, welcoming over 700 guests, yacht owners and industry professionals to celebrate another brilliant year for the builder. 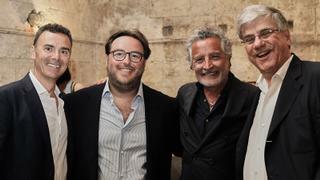 As well as being the opportunity to step on board 14 of the Azimut|Benetti group's latest models, including an exclusive preview of the new S6, guests were also treated to a rich cultural programme including a reception at Monopoli's Castello Carlo V and a private view of a new exhibition of artworks by Joan Mirò. The eleventh Azimut Yachting Gala took place from June 22-24, 2018 in the beautiful Italian region of Puglia, welcoming over 700 guests, yacht owners and industry professionals to celebrate another brilliant year for the builder. As well as being the opportunity to step on board 14 of the Azimut|Benetti group's latest models, including an exclusive preview of the new S6, guests were also treated to a rich cultural programme including a reception at Monopoli's Castello Carlo V and a private view of a new exhibition of artworks by Joan Mirò. 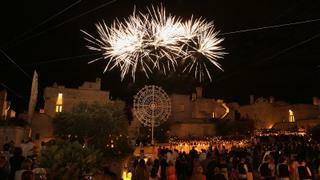 The event culminated in a spectacular party held at the Borgo Egnazia during which guests were entertained with live music, dancers and an incredible fireworks display. Marco Valle, managing director of Azimut, and Paolo Vitelli, owner of Azimut|Benetti, with Azimut owners. Francesco Caputo, Azimut's Latin American sales director, with colleague Ilaria Frattini. Brazilian Azimut dealer Marco Antonio do Carmo with his partner. 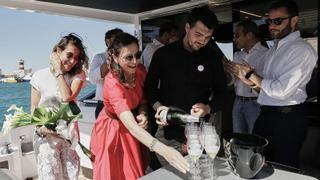 The owners of the first Azimut S6 celebrate on board their new yacht. 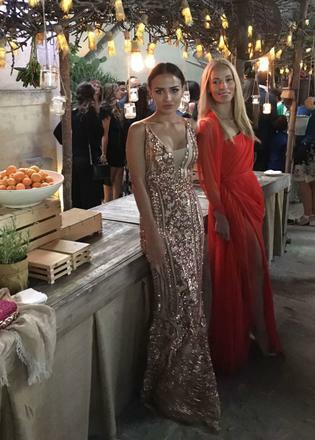 Bulgarian model Nikoleta Nedyalkova and a friend at the Borgo Egnazia. 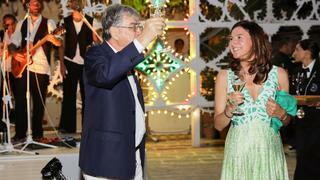 Paolo and Giovanna Vitelli raise a toast during the Azimut Yachting Gala XI.